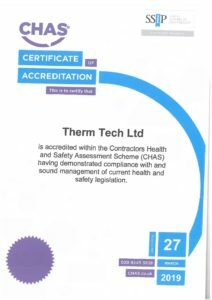 For us, quality and client satisfaction is extremely important, and to achieve this ThermTech received several certifications from accredited entities in specific sectors. 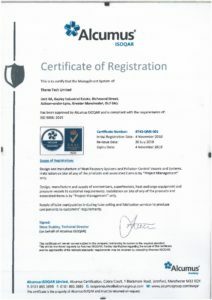 We are very proud that our practices adhere to the relevant standards. 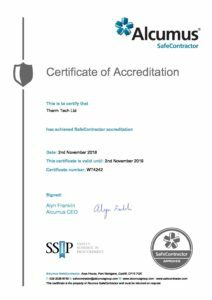 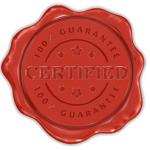 To receive the according certifications, we provided to the accreditation bodies the relevant evidence that we conform to the standards. 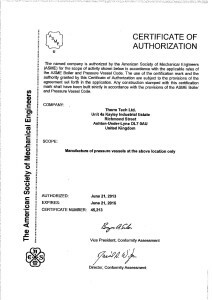 Some of the certifications that Therm Tech holds are CHAS, ISO 9001 and ASME Boiler and Pressure Vessel Code Certification.